Prince Adetokunbo Kayode, the President of Abuja Chamber of Commerce and Industry (ACCI) has commended President Muhammadu Buhari for signing the Federal Competition and Consumer Protection Bill into Act. 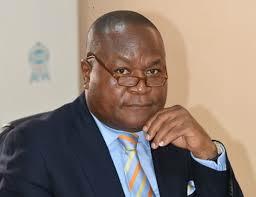 It could be recalled that, the Chamberf through its Policy Advocacy Centre (PAC) organised a stakeholders roundtable on the legislation in December 2018 during which it urged the President to sign it into law. His reaction was contained in a press release from the Chamber in which Prince Kayode explained that the law is particularly important to the Organised Private Sector (OPS) because of the deregulated nature of the Nigerian economy pointing out that it will make for critical market forces of demand and supply to determine the prices for goods and services. “It is therefore my expectation that, within the shortest possible time the business environment in Nigeria will revolutionise and if it is implemented properly and impartially, the entire economy will be better for it. “Signing this legislation into law has both short and long term benefits hence the law abrogates agreements that seeks to impose restrictions on undertakings or associations purporting to set minimum prices for goods or services. Such are void under this law. “It is already in the public domain that, the new FCC will also have the power to investigate the abuse or undertakings that tend to introduce dominance in the market. The Commission is also mandated to direct any undertaking to immediately cease abusive practice. In addition, it also has the power to apply appropriate sanctions when the situation demands”, he maintained. According to him, the law also carries some fundamental elements which make for President to act only when the Commission formally advises him to regulate a particular sector or aspect of business and he is satisfied that it would enhance competitiveness. While stating that, in the early phase of the law, some businesses may find it difficult to adjust, he however emphasised that from the global experience of competition regulation, the law will immensely benefit both producers and consumers.